Many people know that Alexander Hamilton was the founder of the Bank of New York in 1784. A topic of less regular discussion is the fact that neither Hamilton nor his estate benefitted substantially from his magnificent creation as Hamilton only held one share in his name. Despite working tirelessly to launch the Bank of New York, which exists today as BNY Mellon, Alexander Hamilton did not furnish or demand any capital in the bank and did not gain riches from it. Livingston imagined a world in which all currency would be backed by land. Essentially, you would divvy up each acre of land that you owned into 100 pieces, and then you would use those fractional interests in your property as the basis for your currency. Essentially, you would band together will local landowners to create a localized guarantee for Continental dollars, and people would be willing to accept this because if the currency failed they could seize part of your land. On the surface, it seemed like a pragmatic approach to convince people to treat pieces of paper as being worth something. Needless to say, Hamilton hated it. He recognized the deficiency in having pledged land circulate from person to person without record, and foresaw deaths when a hundred men collided on an acre of land to simultaneously claim ownership. But Hamilton knew that he needed to offer a superior plan if he wanted to prevent the Livingston plan from becoming accepted and receiving all the benefits that come with first mover advantage. So he corralled investors Jeremiah Wadsworth and his brother-in-law John Church, and then wrote a bank charter all by himself as he began to rally public support for his plan and sought a charter from the New York legislature. Unfortunately for him, New York Governor George Clinton refused to give the bank government business or lend it credibility because he was a pro-farmer politician who thought that paper currency would be exchanged for farmland, and soon enough, merchants working for British financiers would gobble up all the American land. Clinton was correct in recognizing that that risk existed generally, but likely erred in his assessment that Hamilton’s money bank plan would manifest that risk. 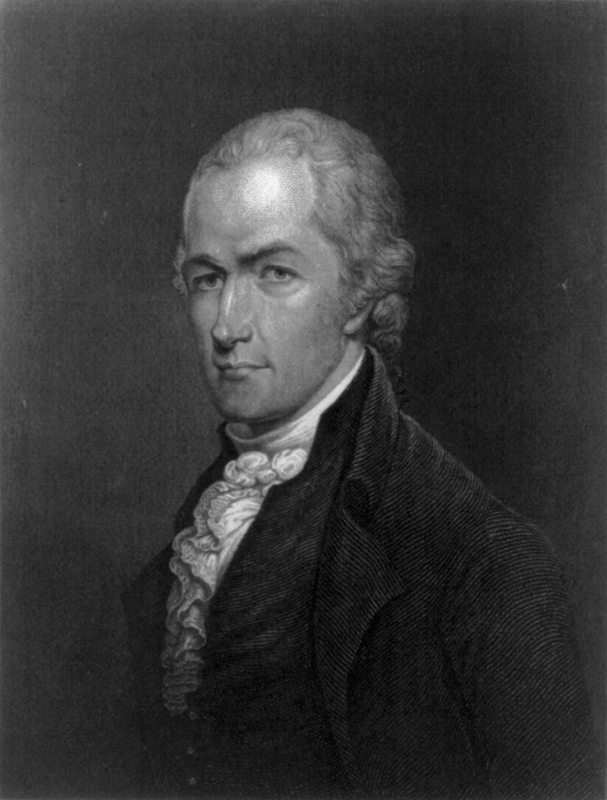 To deal with the seven-year delay in receiving political approval from New York politicians, Hamilton made the savvy move of charging the government 0% for loans that would support the salaries of politicians, most notably including that of America’s first President George Washington. This gave the bank credibility, as George Washington was a unique political leader in that he enjoyed widespread affection from his constituents during his term (in contrast to the great leaders who do not become beloved until after their death.) The logic of “if it’s good enough for George Washington, it’s good enough for me” helped add the indispensable element that is necessary to make any fiat currency work—the element of trust in the taxing authority that backs up the paper. This first mover advantage, coupled with the high-profile clientele and affiliates, gave the Bank of New York an incredible advantage as its initial stockholder base of $500,000 grew into a valuation of over $10,000,000 in 1815 after it received repayment from the U.S. government for funding the War of 1812. You would think that with decades of effort that involved a combination of highly sophisticated legal skills (crafting a bank charter), political ingenuity (convincing George Washington and members of Congress to accept payment from the Bank of New York), and perseverance (fighting the Livingston plan and lack of approval from Governor Clinton), Hamilton would have made a lot of money from the Bank of New York’s rise. Instead, of the $500,000 initial capitalization, Hamilton only found himself only owning a single share of the Bank of New York. A single share. It is not clear what specific compensation Hamilton received from his efforts, with the historical records indicating that Church paid Hamilton “a paltry sum” to act as his agent. It was Wadsworth and his brother-in-law Church who combined to turn $400,000 into $8 million. They were essentially passive investors who got to enjoy reaping all of the benefits from a decade of Alexander Hamilton’s sophisticated legal and political maneuverings. In Hamilton’s case, there was no relationship between the work and the financial reward. He gets the historical prestige for his efforts, but he didn’t get any of the cash. It seems to me a wise rule of thumb to always seek a large enough equity interest in a project that, if it pays off, it will bring a substantial benefit to you. Whether that would have meant a $10,000 or a $50,000 initial investment in the Bank is subject to discretion. This isn’t always possible when you’re first starting out or overcoming a personal hardship, but it should always be there as a North Star providing guidance: Make sure that you arrange your affairs so that your hard work leads to your own profit rather than that of some other guy.